Patrick focuses on the sale of investment properties throughout New Jersey and the surrounding metropolitan tri-state region. He concentrates on institutional quality and privately owned office, industrial, retail and multifamily assets. Previously, he worked as an Associate at Colliers International specializing in office tenant representation and various agency assignments in the greater Princeton submarkets. Patrick holds a Bachelor of Business Administration in Real Estate from The University of Georgia (UGA), Terry College of Business. He also earned a Legal Studies Certificate and Minor in Art from UGA. Jacklene provides Investment Sales expertise, institutional and private investor, in the tristate area. Focused on all product types including office, industrial, retail, residential/mixed use and assets requiring repositioning. In addition, Jacklene has a strong understanding of marketing distressed and special servicer assets. 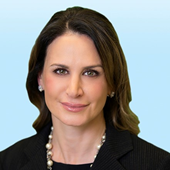 Jacklene is Executive Managing Director for Colliers International, joining the firm in 2013. Prior to Colliers, she was a Director for the NGKF Capital Markets team in NJ from 2008 to 2013. Real estate finance professional with an MBA and over 15 years of experience across multiple real estate sectors and disciplines. Integrally involved in over $3.5 billion of closed transactions specific to Investment Sales, Structured Debt/Equity, Loan Sale Advisory, and Asset Management. 5 years of Investment Sales Experience including: co-pitching all new business opportunities, manage financial analysts, underwrite complex deals using Argus Enterprise and DCF Models, oversee launch of assets, negotiate off-market deals, manage due diligence and closing process. 4 years of experience as a Structured Finance Underwriter for a publicly traded mortgage REIT and Private Equity Debt Fund underwriting Bridge, Mezzanine, B Note Purchases on multifamily, retail, office and hospitality assets nationwide. 4 years as a Lead Asset Manager of a public-private partnership company overseeing construction and property management on 40% of a $2.4 billion privatized military and student housing portfolio with the Department of Defense and institutions of higher education. 3 years as Vice President of Loan Sales, successfully originating and divesting $1.5 Billion of Non-Performing commercial and residential loan and REO assets nationally during and shortly after the ‘Credit Crisis’ recession. 2 years in Debt Placement and family office Private Equity investments in CRE and Hospitality development. Closed over five (5) JV equity partnerships with multifamily, office, and hospitality operators throughout southeast U.S., approximating $500 million in transactional value.